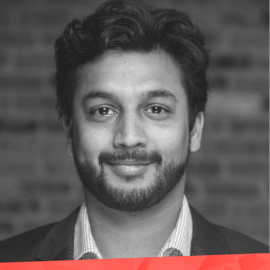 Dhruv Bansal is an experienced technology entrepreneur and co-founder of Unchained Capital, a financial services company that provides loans for crypto collateral. Prior to founding Unchained, Dhruv was a co-founder of Infochimps (acquired by CSC in 2013). At Infochimps he led development and sales teams that built products which power big data applications inside dozens of Fortune 500 companies. Dhruv’s background in math, physics, and network theory led him to become fascinated with Bitcoin soon after its launch. He believes blockchain is the most important communications invention since the telegraph and is excited to build products that accelerate the adoption of decentralized technologies.